MPs will get another chance to vote on Brexit this month – even if Theresa May has not been able to negotiate a deal by then. Housing Secretary James Brokenshire admitted it might not be the final, decisive vote on the PM’s deal that Labour and some Tories are demanding. The prime minister needs to get a deal approved by Parliament by 29 March to avoid a no-deal Brexit. Labour has accused her of “cynically” running down the clock. Instead of a “meaningful” vote on the prime minister’s deal with the EU, MPs could be given another series of non-binding votes on possible Brexit alternatives by 27 February, with the final vote on whether to approve or reject the deal delayed until the following month. On Wednesday, Mrs May will ask MPs for more time to get legally-binding changes to the controversial Northern Irish backstop, which she believes will be enough to secure a majority in Parliament for her deal. But the following day, Labour will attempt to force the government to hold the final, “meaningful vote” on Mrs May’s Brexit deal by 26 February. 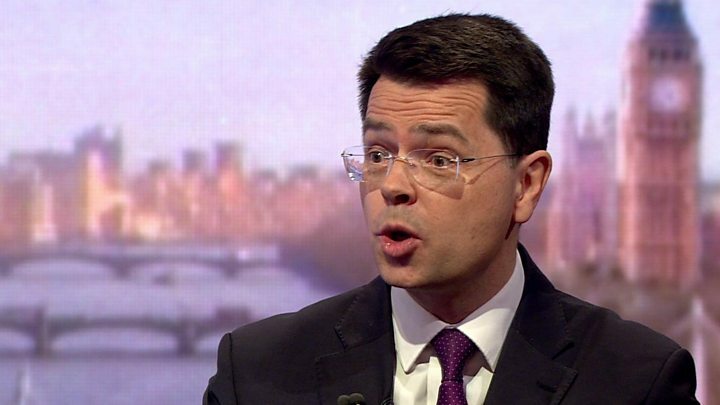 Mr Brokenshire refused to commit to this date in an interview with the BBC’s Andrew Marr Show, saying there could be more votes on amendments to the proposed deal instead. “If the meaningful vote has not happened, so in other words things have not concluded, then Parliament would have that further opportunity by no later than 27 February,” said Mr Brokenshire. He also ruled out removing the Irish backstop from the government’s deal with the EU, as some Conservative MPs are demanding. He said ministers were exploring a possible time-limit to the backstop, or a legal mechanism allowing the UK to exit the backstop without the agreement of the EU, but he insisted some kind of “insurance policy” was needed to keep the Irish border free-flowing. But Labour’s shadow Brexit secretary, Sir Keir Starmer, says he believes the prime minister is “pretending to make progress” on the Irish backstop issue. He says what she actually intends to do is return to Parliament after the 21/22 March European Council summit the week before Brexit and offer MPs a “binary choice” – her deal or no deal. “We can’t allow that to happen,” Sir Keir told The Sunday Times. Lib Dem leader Sir Vince Cable said delaying the final vote on the Brexit deal was “worse than irresponsible” and he “would not be surprised if [Theresa May] faces a massive rebellion by Conservative MPs”. Conservative MP Sarah Wollaston, who like Sir Vince has campaigned for another EU referendum, called for ministers who were “serious” about preventing a no-deal Brexit to resign and vote against the government. Fellow Conservative MP Heidi Allen also called for ministerial resignations, saying it was “completely irresponsible” for the government to keep delaying the final Brexit vote. Labour is proposing its own Brexit plan, which would involve the UK staying in a customs union with the EU, which they say could get the backing of a majority of MPs. The government has not ruled out supporting this – and has promised a formal response to it and further talks with Labour – but they say it would prevent the UK from making its own trade deals after Brexit. There are fewer than 50 days until Brexit. The law is already in place which means the UK will leave the EU on 29 March 2019. Mrs May’s Brexit deal – which she spent months negotiating and had agreed with the EU – covers the terms of the UK’s divorce and the framework of future relations. But it was rejected by the UK Parliament and if it is not approved by Brexit day, the default position would be a no-deal Brexit. Last month, Parliament voted in favour of an amendment that supported most of the PM’s deal but called for backstop – which is a last-resort option to prevent a hard border in Ireland – to be replaced with “alternative arrangements”. The prime minister is now in talks with Brussels to seek these changes to the backstop. A number of government ministers will also be meeting their counterparts across the continent this week, in order to underline Mrs May’s determination to achieve a deal. Critics of the backstop in Mrs May’s current deal say they could tie the UK to EU rules indefinitely or mean Northern Ireland ends up under a different system to the rest of the UK. But the Irish government and the EU have repeatedly rejected calls for changes. Other options likely to be debated by MPs on Thursday include extending Article 50, the legal mechanism taking the UK out of the EU on 29 March, to allow more time to reach an agreement with Brussels.